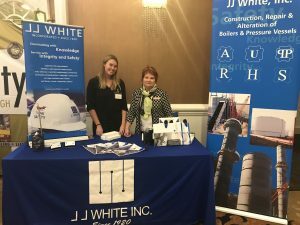 US Gas and Power Conference - J.J. White Inc.
in the natural gas industry along with vendors from companies ranging from equipment rental to industrial services. The event was broken up in to two days, consisting of keynote speakers talking on the various trends in the natural gas industry. Such topics addressed the changing demands of Natural Gas-Fired Generation in an uncertain market, and what will be the driving force in the natural gas industry. In between sessions, vendors had the opportunity to mingle with existing clients and thank them for their continued business while also discussing potential opportunities with prospective clients. If the opportunity did not arise during the event, vendors could gather with attendees at the cocktail hour or share business opportunities over dinner. 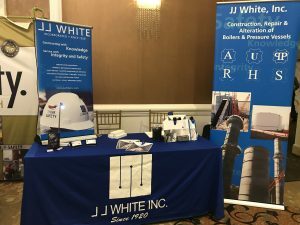 JJ White has attended US Gas and Power Conference for the past three years and would like to thank everyone we’ve met with at this event. JJ White came prepared with members from the business development team, and a full table display with giveaways for all attendees.